There are trails, parks, and natural areas to wander. There are waterways for boating, fishing and swimming. There are woodlands to hike and hunt. And there are both ocean beaches and bay-shore beaches, for lounging, surfing and swimming. 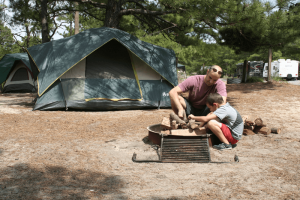 Outdoor recreation is an important part of the Delaware lifestyle. It is an important part of the state’s economic vitality. DNREC manages various types of public lands to provide outdoor recreation opportunities. 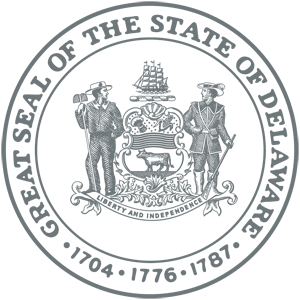 The agency helps protect clean water and habitat for fish and other aquatic creatures. DNREC staff help manage wildlife and fisheries enjoyed by hunters, anglers, birders and others. 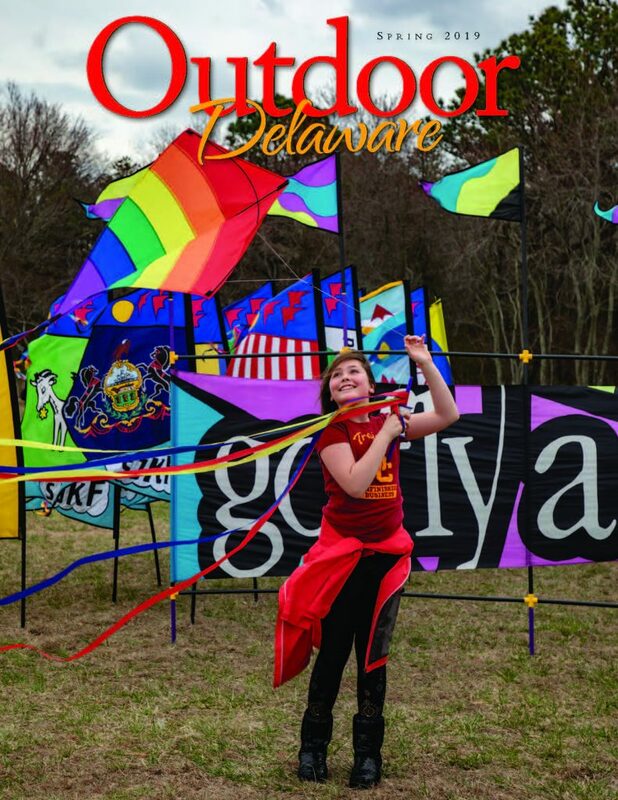 And DNREC’s Outdoor Delaware magazine provides quarterly updates and features about the outdoor life in the First State. Fishing is one of the most popular outdoor recreational activities in Delaware. The state features a wide variety of fishing opportunities for every angler, from the Delaware River and Bay, to the ocean, to the dozens of ponds, streams, and tidal creeks. The weekly Delaware Fishing Report is one of the most popular web pages on the DNREC web site. 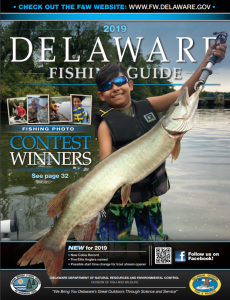 The Delaware Fishing Guide provides more information on the 22 fishing and boating sites providing access to vast populations of striped bass, summer flounder and black drum, as well as 11 artificial reef sites, which host and can teem with black sea bass, tautog and other species. What are the license requirements for fishing in Delaware? The DNREC Wildlife Section manages nearly 50,000 acres of Delaware land, habitat for a multitude of wild plants, animals, insects and rare species of all kinds. Much of this land, and many acres of private land, provide hunting over a number of seasons. 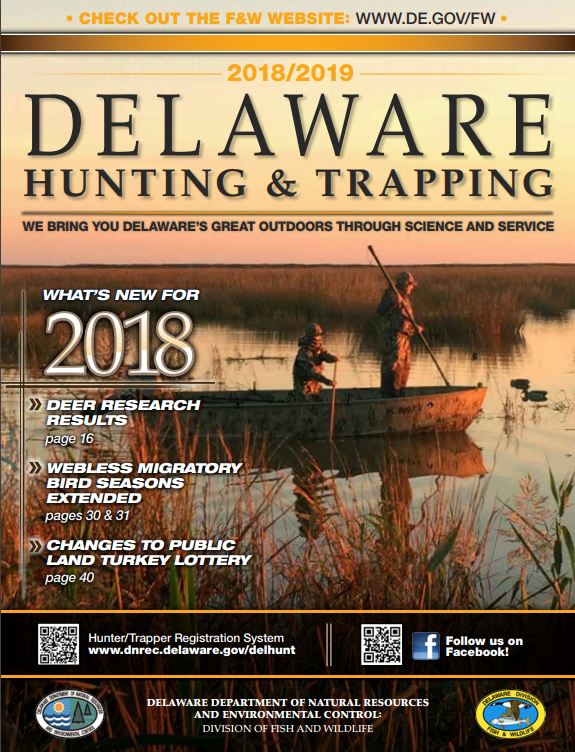 More information is found in the Delaware Hunting and Trapping Guide.